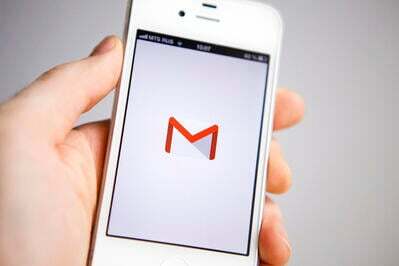 You know those people on social media that you can’t necessarily block, but you don’t exactly want to hear from? Come on, I know you know who I’m talking about. The uncle who goes off on political rants, the ex-college roommate who is always trying to sell you something. You’re so tired of constantly getting their notifications, but they have a pretty good understanding of how to use Snapchat so they’ll definitely know if you unfriend them. What if I told you there was a way you could mute them and they’d never be the wiser? 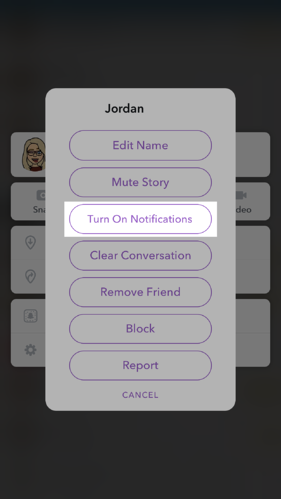 Enter: Snapchat’s Do Not Disturb mode – a feature that the media-sharing app introduced in early 2018. What is Snapchat’s Do Not Disturb mode? 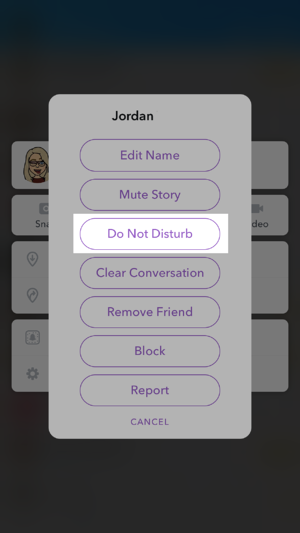 Snapchat’s Do Not Disturb is a feature that allows you to mute certain accounts or groups without sending a notification that you’ve done so. Unlike blocked and unfriended users, muted accounts are still able to contact you. Do Not Disturb simply stops all notifications from the blocked user or group, meaning you won’t get an alert every time somebody sends a sub-par picture of the $16 cheeseburger they’re eating. If you’ve ever put your iPhone on Do Not Disturb mode or muted a conversation on Facebook Messenger, this feature will likely seem familiar. 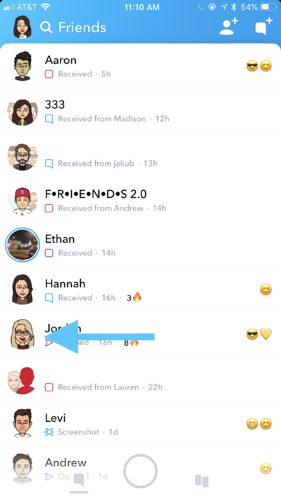 It’s an identical concept – a simple resolution to the overly chatty friends who only care about obtaining Snapchat trophies, or the extra active Snapchat group that explains your absurdly high Snapchat score. This update also included the ability to mute somebody’s story. The users whose stories you mute will immediately be pushed to the bottom of your feed when you open up your app. 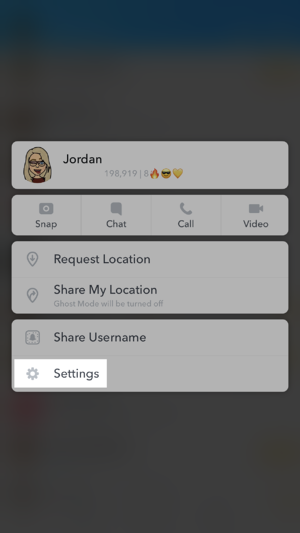 While Snapchat had quite a few questionable updates in 2018, users seemed thrilled with the introduction of the Do Not Disturb feature, with several taking to Twitter to express their excitement. 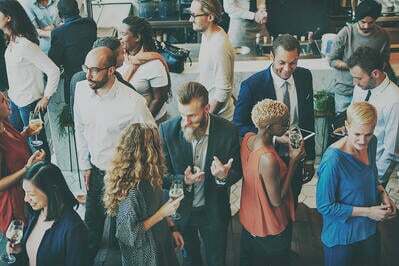 Blocking users – especially those whom you’re friends with – can cause some drama (and have you scrambling to learn how to unblock someone on Snapchat). Muting users, on the other hand, is a non-confrontational way to silence your notifications. If you think so, then you’re in luck. Next up we’ll teach you how to turn on Do Not Disturb mode. First, find the contact or group that you want to mute on your Friends list. Then, press on their Bitmoji to pull up a menu of options regarding their profile. From here, click on the Settings tab. This will bring up another menu. Press the button that says “Do Not Disturb” and this friend will be muted. To make sure it worked properly, follow that same process. This time, when you open the settings, you should see a button that says “Turn On Notifications” instead of “Do Not Disturb.” If you see that, you’ll know you were successful. As a reminder, this user or group will not receive a notification that you’ve muted them. You’re ready to test out Snapchat’s Do Not Disturb mode! Congratulations – the days of endless Snapchat notifications are over and you can officially start testing out Do Not Disturb mode.